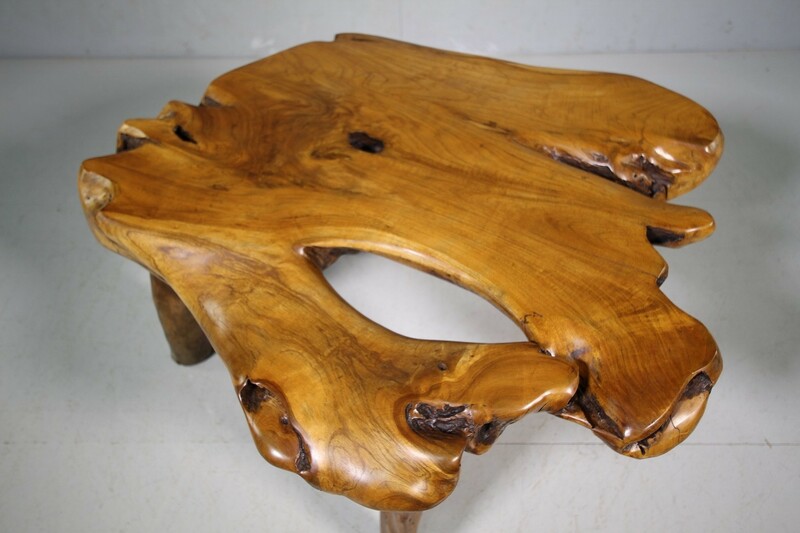 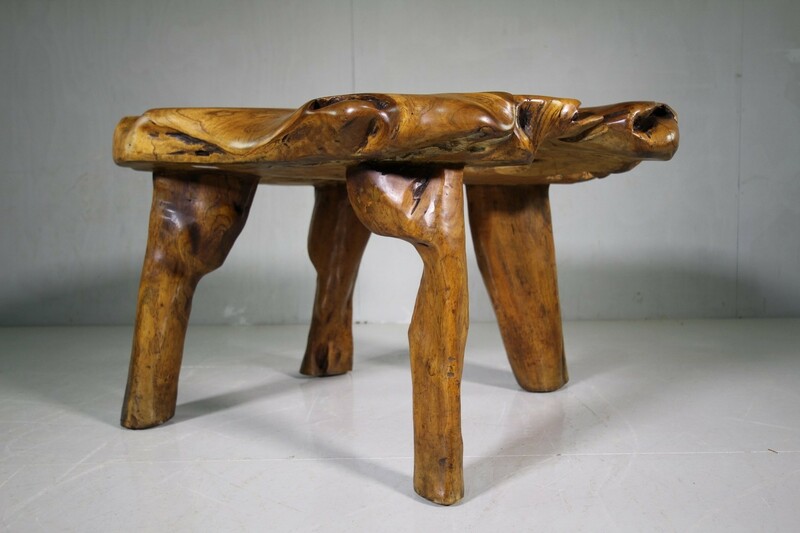 This is a fabulous wooden table that looks different from every angle. 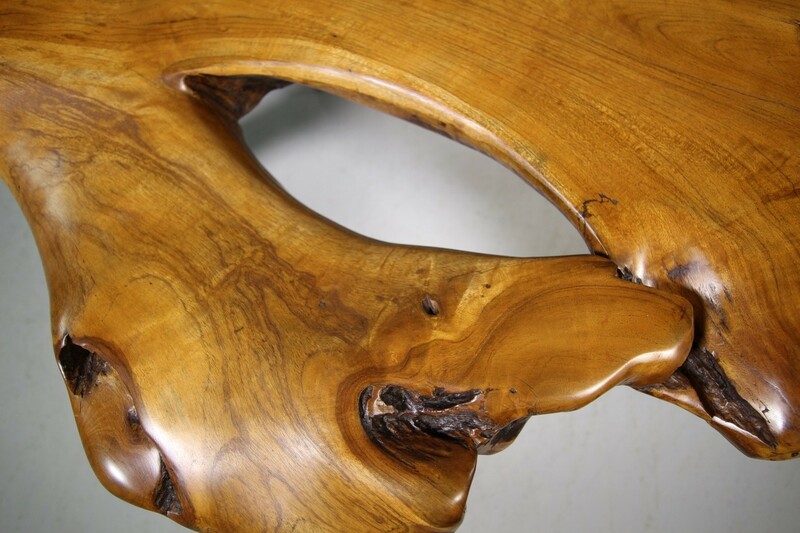 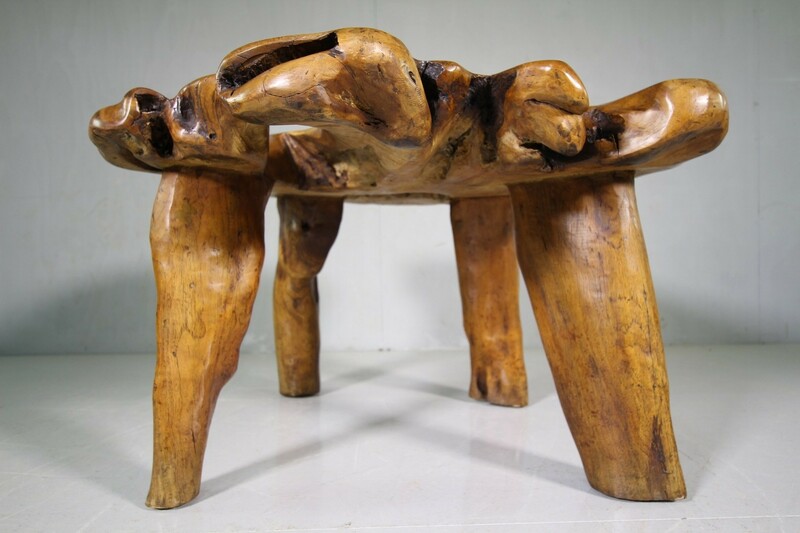 Made from a large slab of timber with natural edges and is a most wonderful colour. 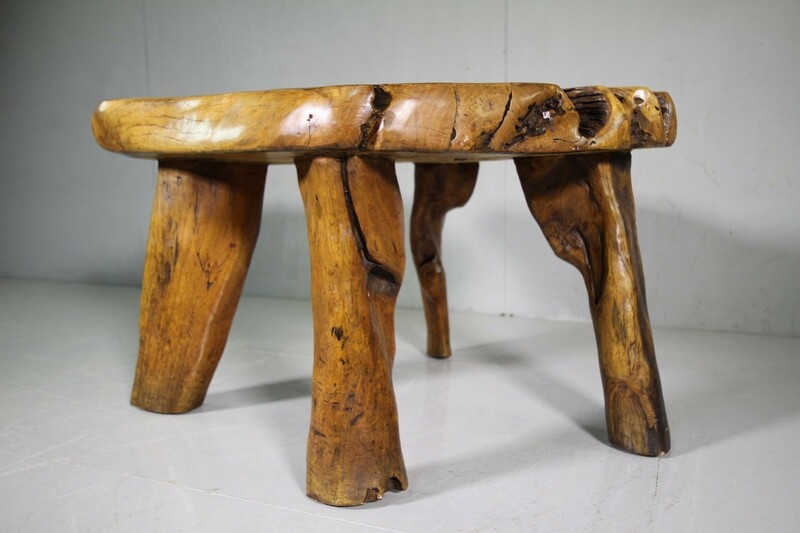 Perfect height to use as a coffee table with the top being very flat. 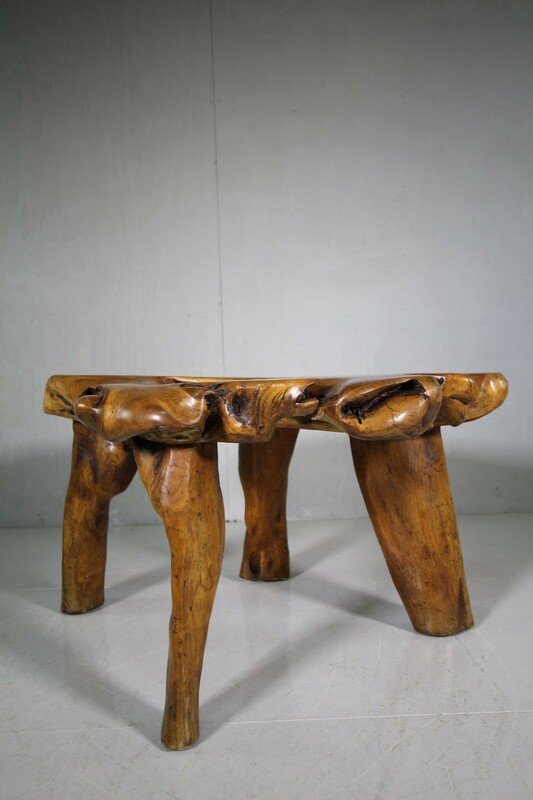 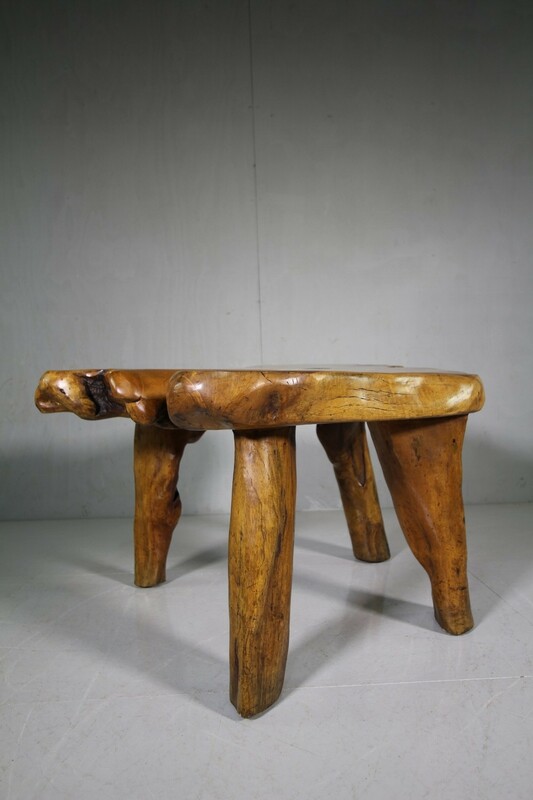 All in very good, solid condition and the four sturdy legs keep the table very rigid. 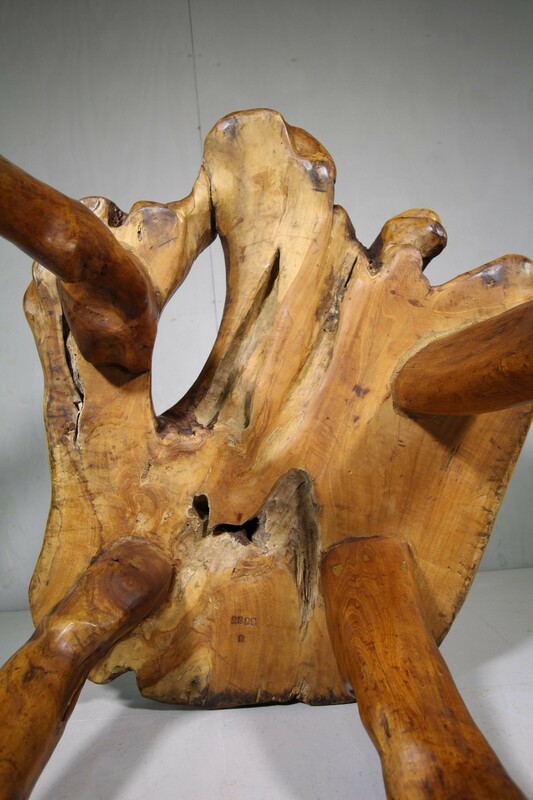 A very decorative and sculptural 1950's table.